Huge Savings Item! 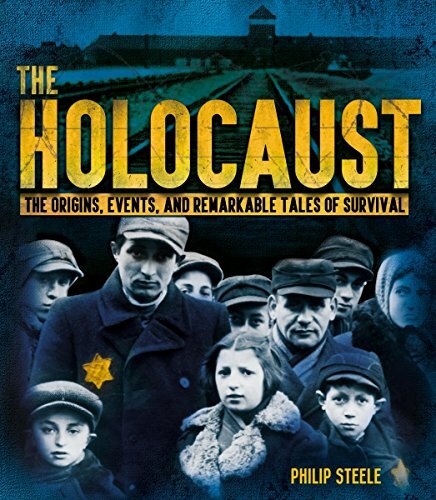 Save 11% on the The Holocaust: The Origins, Events, and Remarkable Tales of Survival by Scholastic at Cmc Schools. Hurry! Limited time offer. Offer valid only while supplies last. During World War II, six million Jewish men, women, and children lost their lives under the Nazis, in one of the darkest events of modern history. During World War II, six million Jewish men, women, and children lost their lives under the Nazis, in one of the darkest events of modern history. The Holocaust: The Origins, Events, and Remarkable Tales of Survival is a thought-provoking new book that explores the circumstances that led to the Holocaust, examines what life was like in concentration camps, and retells incredible stories of heroism in a sensitive and accessible way for a young audience. Featuring full-color illustrations, historical photographs, and maps and charts, this large format book is perfect for parents and teachers who want to introduce this subject to young readers. Eyewitness accounts and real-life stories of loss, courage, and survival bring a humanity and immediacy to the facts and images, making The Holocaust a compelling and invaluable read for a new generation.